Born in Hyderabad, and the eldest of three children, Abbas is a graduate in Law from K.S.Law College, Mangalore. 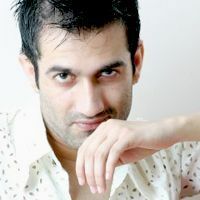 Check out the most updated and latest information about Abbas Khan's on the Internet.We have 5 videos of Abbas Khan including interviews, events, or public appearances.Abbas Khan has over 15 Fans registered on India-Forums.com. We have 24 Television News articles related to Abbas Khan.Do share your criticism, comments and feedback for the Actor on Abbas Khan's comments page. We have over 17 Photos of Abbas Khan to view and download including Abbas Khan's Wallpapers. How are you? I saw your profile today at and feel like contacting you. ([email protected] ) is my contact. Kindly make a contact if you are interested.so that i can give you my picture for you to know who i am.My name is evline I will appreciate it if you give a good responds. i love you busy pandey.we all love your work...plz keep it up.....aur papa kasam bata rahe hai ke tum jaan ho lapataganj ki aur hamare dil ki....amazing......! hi abbas...u are a great actor. all of us at home are glued to your comedy shows at TV.U have a uniqueness in ur acting. keep it up!!!! u rocked in comedy roles..now u are rocking in negative role..can u prove ur metal in romantic roles? how bout it?? try dude!! Superb acting..u're rocking..keep it up!